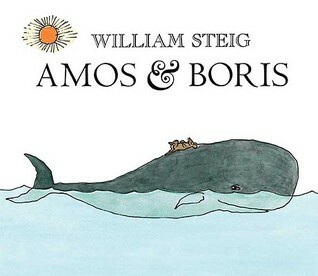 A story of an unlikely friendship between a mouse and a whale. The more William Steig stories I read, the more I appreciate the strength of his characters and the simplicity of his prose. The illustrations are calming with soft colors and basic line drawings. I saw this book first mentioned on Carol's blog and ordered it from our library, completely entranced by the artwork on the front cover. This is the type of book that can capture the mind of a reader and send it exploring along many trails of interest and discovery, such as birds and habitats, history, maps, landforms, sailing, painting and artwork, and geography to name a few. 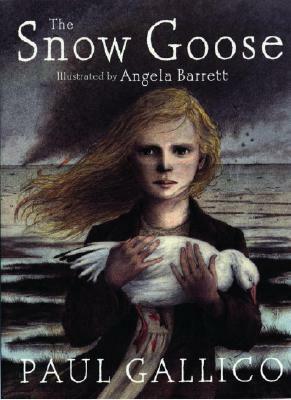 The gorgeous and muted illustrations evoke a slight sense of melancholy throughout the story that compels the reader to truly care about the fate of the bird, the girl and the man. An exceptional read, perhaps more suited for an older child. It was in my search for books about horses for a friend's daughter that I came across this title and decided to have a look before possibly recommending it as a great book for horse loving children. This slim volume with one illustration for each of the three short stories is bookended with a prologue about the Appalachian area Kentucky in 1923 and an epilogue biography of Mary Breckinridge, the horseback riding nurse who is featured in these stories told through the voices of children. There is much to be pondered both in the stories presented and the story of Mary's personal life and nursing achievements. I do recommend this book although given the serious injuries and illnesses of the stories, I would not recommend it for most young children. This is the third Elisabeth Elliot book I have read as an adult. The first was her biography of Amy Carmichael called A Chance to Die which I can not recommend enough. The second was The Shaping of the Christian Family which is a recounting of her upbringing and one that I unexpectedly enjoyed very much. This third book I absconded from my mother's bookshelf curious to see what Mrs. Elliot had to say to her daughter, Valerie on the eve of her marriage. I was not disappointed. Each chapter is quite short and to the point, yet written with the classy style and gentle humor that makes her unswerving wisdom appealing. I very much would like our girls to read it as young women, even more so if they find themselves engaged to be married. I am in agreement with her views on womanhood and marriage even if they may have fallen out of favor with some in the wider church. I posted a fairly long quote entitled Leave Room for Mystery which will give you a taste of the book. Also the World magazine article Walking Through Fire written earlier this year gives a 'current' peek into her life. It is a reminder to pray for her and her faithful husband Lars Gren who provides timely updates on their life together at Lars' Ramblings from the Cove. While Douglas Wilson books tend to be fairly short, they are not fluffy reads. I've already decided I want to go back through this seventy-six page book and copy longer sections in to my notebook. Here's a shorter example that I want to copy. I am familiar with his idea of using the New Testament quotes of the Old Testament to interpret the Old Testament, but this quoted section provides a great mental image on how to actually accomplish that. This material comes from a chapter entitled Thundering the Word. There is true delight and excitement in studying the Word of God, but it is too often robbed of us by our means and by those who shepherd us. I want to know and understand the Bible, I want to marvel at God's Word just like I do with his Creation. I hate when I find myself reading it with a ho-hum attitude, just reading it to satisfy my conscience. All it takes is an idea, a glimmer of something deep, rich and satisfying and I can think about it for days. Not a mountain top experience, but a genuine understanding where previously there was little or none. Something that you will not forget. As a non-beer drinker, I suppose my interest in reading this book would seem out of place. But it was an online article about the Guinness family and their Christian heritage replete with missionaries that sparked an interest in knowing their story. A few months later, I saw Stephen Mansfield's book come up in a Amazon book suggestion so I checked our library and recklessly added it to my request list. I think it was the brief history of beer brewing from ancient cultures and then later in the Roman empire and onward to the Reformation era that caught me off guard since I was unaware of beer's cultivation and history. Then starting with Arthur Guinness and reading of his desire to use his brewer vocation to further the work of God's Kingdom and to give both his employees and his fellow citizens an opportunity to do the same, my interest grew. In the epilogue of the book, Stephen Mansfield discusses five maxims from the Guinness history that if understood and followed can leave a legacy for others. The second on the list is Think in terms of generations yet to come, where Mansfield encourages his readers to take the long view on their lives and accomplishments, to give selflessly for the generations that will come after them. These maxims spring from a desire to study history not as a subject to master, but as a study in what prior to 1876, universities called Moral Philosophy but is now referred to solemnly as the History Department. Moral philosophy was the process of studying history in order to profit from it by gaining wisdom, truth and understanding for its pupils, virtues that are much neglected in our modern era. I could say much more about this book but I do like to leave ideas and discoveries to readers who come along later to enjoy finding themselves. Since I loosely follow Susan Branch's blog, I knew she had taken a trip to England and I knew she was writing a book about it and even what the title would be, but I didn't really have much interest in reading it right now, despite seeing it being read and remarked about in many different corners of the internet. What made me decide to take the plunge and get my name on our library queue? When I realized that she had included a stop at beloved Ambleside and Lake Windmere in the Lake District. Both areas tied to books and authors like Beatrix Potter, Charlotte Mason and Swallows and Amazons. I have known Susan Branch's artwork for years and knew her books from my days at Barnes &Noble Bookselllers, but I never actually read one of her handwritten books. As someone who loves delightful illustrations, handdrawn maps, handwriting, photographs, flowers, gardens, tea, colorful maps, botanical drawings, flags, cakes, clever humor, and definitely maps, this book was perfect for me, complete with a satin red ribbon bookmark to leave my place marked until resuming with delight later. Kathleen, when you read this, please know that I thought of you several times throughout this book, thinking that Susan Branch's diary entries seemed to echo your personality uncannily. I look forward to adding this to my own personal library, in hardcover with a satin red ribbon of course. I had thumbed through this book before at the library and thought I would like to read it sometime, but it was a visiting pastor who quoted from it in the closing of his sermon, that renewed my interest in reading it. I borrowed it as part of the Express Collection which gives you I think seven days to return the book. I did read it quickly, not only to get it back to the library but because I was genuinely interested in his writing. 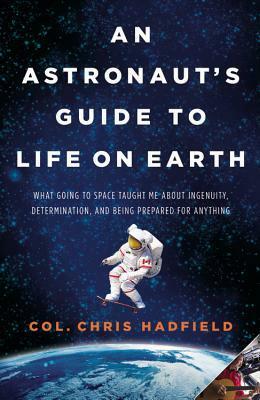 He deftly blends his own life story into the larger picture of the various space programs and shares insight into both the technical aspects of space exploration and the human side with humorous anecdotes often at his own expense. There are moments where he writes like a life coach, giving advice and suggestions on work ethics and intrapersonal relationships. I can see this as being useful for younger people to read as they enter adulthood or the workforce. Oh the inimitable Mrs. Pringle! A robust, albeit rotund woman who knows her mind and reminds her fellow citizens of this fact as often as she likes. I'm quite sure that we all have had a Mrs. Pringle in our life whose very existence makes cringing and scowling an involuntary response. She is a character who is simultaneously brings foreboding and entertainment. Miss Read recounts a year's worth of interaction with Mrs. Pringle, initially harking back to her own first encounters as well as adding village incidences from both years gone by and current ones. It is a short novel but it contains some of the vintage Mrs. Pringle that endears her character to us. Having spent more time in 'Fairacre' over the years, it took me a bit to get up to speed on the residents of Thrush Green again. Miss Read is always a complete delight and easy to read way past a suitable bedtime. She joins a select group of authors that I carelessly burn the midnight oil with no thought for the morrow. I found this novel to be less lighthearted than some of her other novels which is not a criticism, but merely an observation. The residents of Thrush Green each have their own private struggles, though in typical village life, these struggles do not usually remain private. Fortunately, helping one another bear their burdens and trials is also part of village life and this interplay is what keeps the story engaging and moving to its conclusion. "When I realized that she had included a stop at beloved Ambleside and Lake Windmere in the Lake District. Both areas tied to books and authors like Beatrix Potter, Charlotte Mason and Swallows and Amazons. " Cool! Thank you for your recommendations, Heather! I've now put several of these on hold at our library! A few aren't available at the library.... any chance you're willing to loan out "Let Me Be a Woman"?